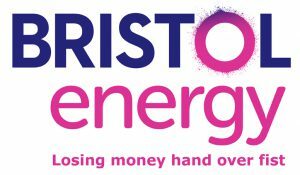 Unfortunately like so many local authority initiatives the Bristol Energy wheeze was planned as a way of hoovering up European grant money up front with not enough thought given to actually running it profitably. They haven’t ‘hoovered’ up any EU grant money, unless you know different? According to all my foi requests all the money has come direct from Council reserves, I’m sure they’d be the first to point out that it was ‘easy come easy go’ EU money. There was a £2.5m EIB grant to meet setup costs. These grants were supposed to be used to develop business plans / feasibility studies etc, look up the ‘ELENA’ scheme. Don’t know what it was spent on. Consultants? Thanks, no I didn’t know that and they haven’t disclosed it in any of my FOI requests when I’ve directly asked about external grants and set up costs.